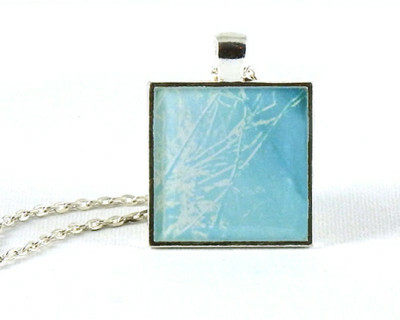 It all started with a love of sea glass, and all things “frosted” looking. On Pinterest, I came across translucent polymer clay being used to mimic it. Katrin Neumaier’s jewelry caught my eye again and again. Her work takes my breath away. 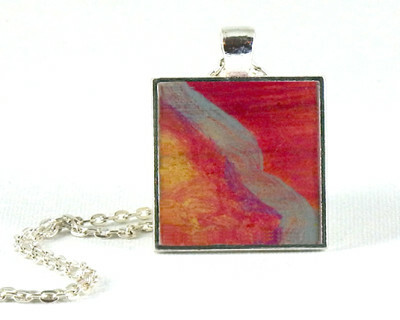 After researching this (and wandering off the beaten path a bit), I found that the clay can be colored with alcohol inks to create a more lasting color and preserve the translucency in a way that adding colored opaque clay doesn’t. So… off to look for a starter kit of alcohol inks. This wasn’t working out for me. 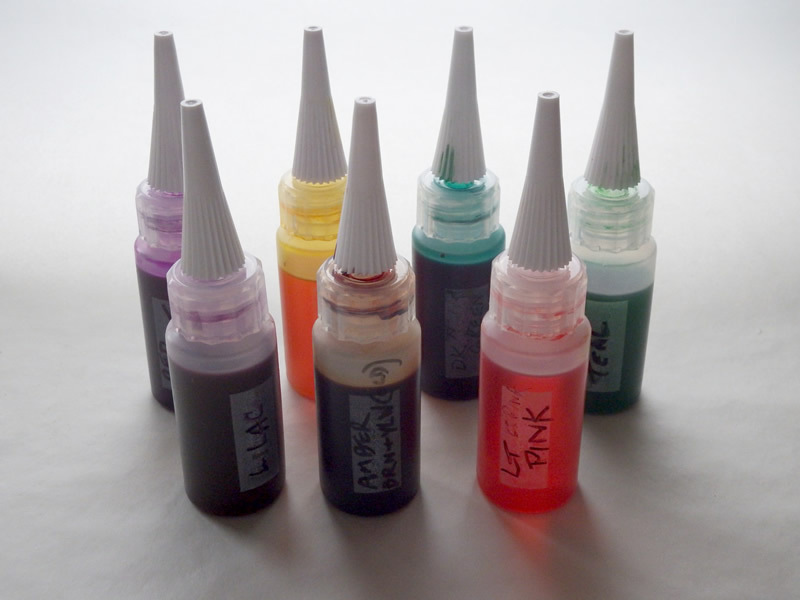 The popular Adirondack inks come in 1/2 ounce 3-packs, with names like Bottle and Mermaid. I’m a pushover for a great name, and YouTube tutorials with Tim Holtz have helpful tips and techniques, but since I taught Color Theory for years, I’m picky about my colors and am pretty thrifty. I didn’t want to buy colors in a 3-pack if I only wanted two of them. When you work with papier maché clay, it can take awhile to get a feel for how thick you’re spreading the mixture over the mold. Too thin and it’s fragile, most likely with weak areas and pinholes. Too thick and you lose some of the delicacy of it. A thickness of about 1/8″ (.125 cm) is sturdy yet not clunky. The photo above was taken before patching, when the sides were a bit too thin and there were pinholes in the bottom from flattening the base. No wonder there are issues… it’s like spreading really wet tuna salad! Thankfully there’s an easy fix. 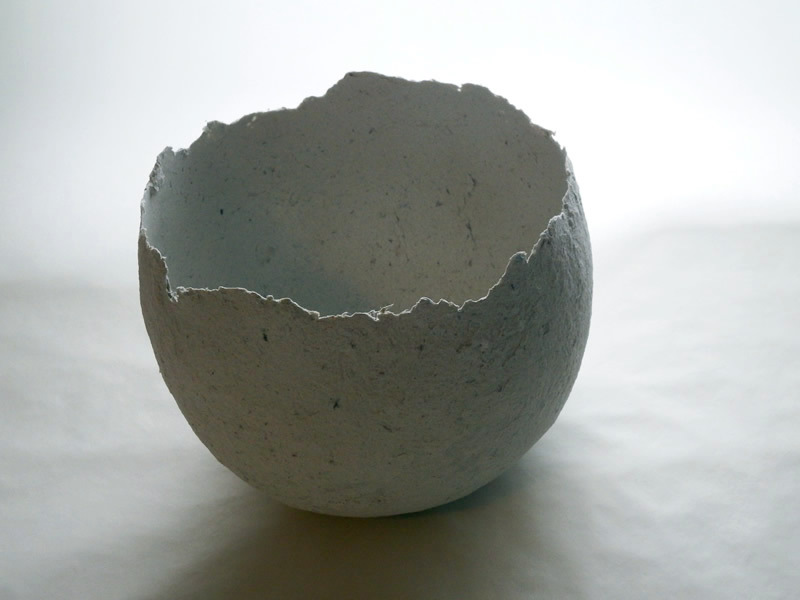 Cast paper can be pretty lumpy, depending on the type of paper you use and how well you “puree” it. The papier maché clay recipe I altered for my bowls makes a smooth, sandable, easy to apply patch material to fill in the ruts. 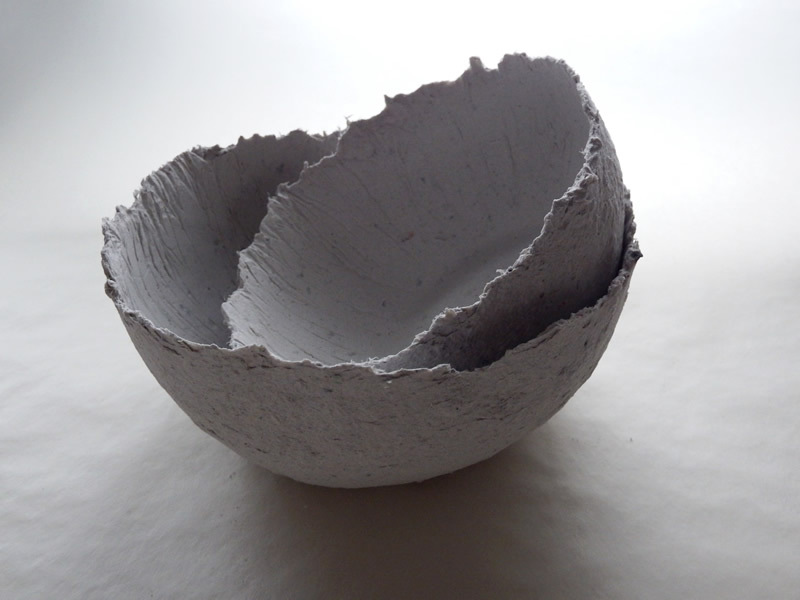 I recently used it on a couple of different bowls – one made from cast paper and one made from the same maché clay. The bowl in the photo above has been around for awhile. I love the finish on the other side, but the craters on the outside didn’t seem to “go” with it. I sanded and sanded with a multi-function tool and only got so far. The results weren’t very satisfying after a lot of work. 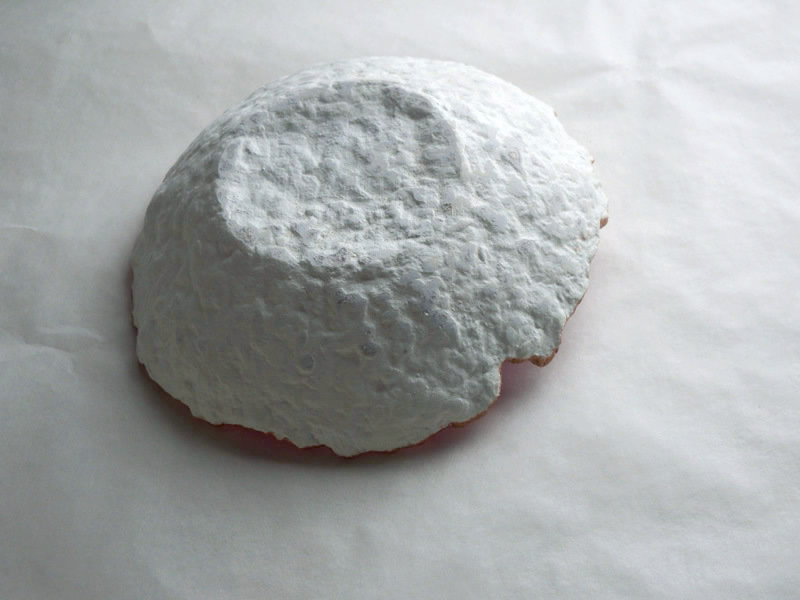 Since there are some substantial changes from the recipe on ultimatepapermache.com in the paper prep, mixing and molding the form with the new papier maché clay mixture, I put the entire process here. It includes my recipe from an earlier post, so you won’t need to jump all over to follow it. 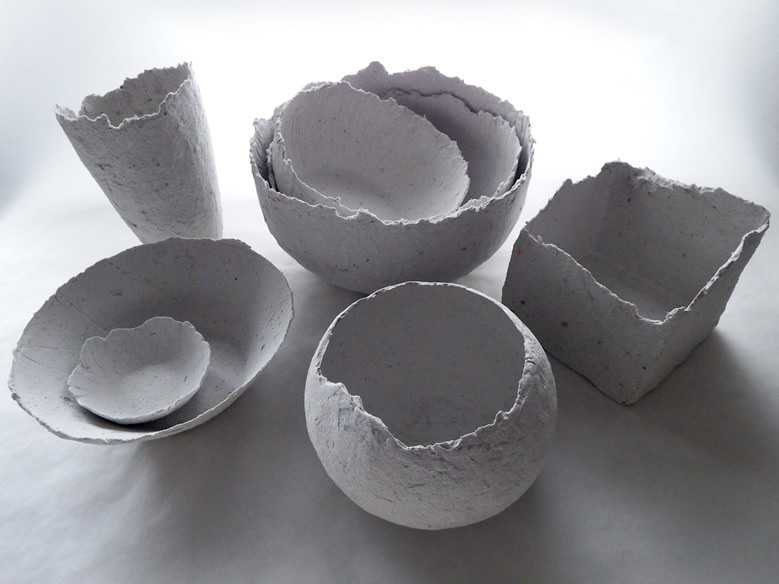 Cast paper bowls are fun to make and I’m a self-confessed container and paper lover. I’ve been making them for a few years, but was sometimes disappointed in the strength of the finished product, especially with larger bowls. Then one day, I came across ultimatepapermache.com, which has a wealth of wonderful information. Jonni Good offers recipes, clear, helpful videos and the site has an active forum full of even more ideas. It’s obvious that she’s always coming up with ways to improve her techniques. For my purposes, the recipe needed some tweaking, but it transformed how I make my bowls (and how satisfied I am with them). 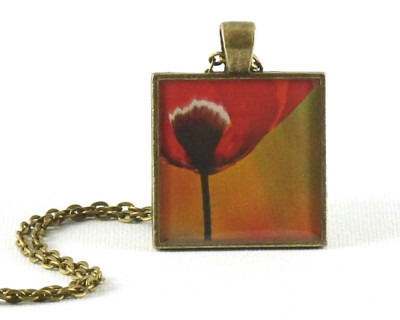 To brighten the shiny, new days of 2015, there are ten resin pendants in the Etsy shop that are just as shiny and new. Take a look at the slideshow to get a sneak peek at a few of them. There are still some with a winter feel, but the urge for spring is definitely represented in this group. 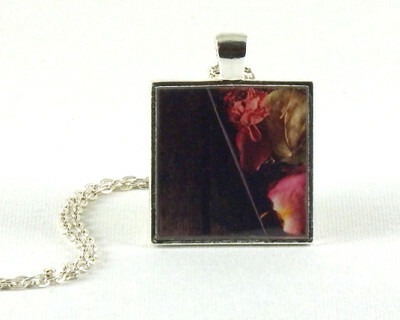 Visit us on Etsy to see the the others. 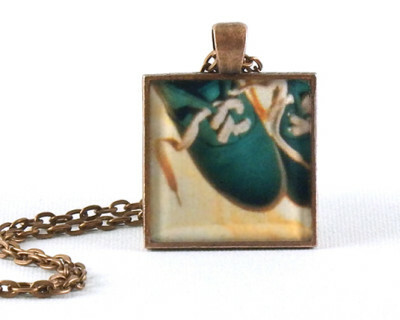 We now have over 70 pendants for you to choose from. Here at ChirpHop Studio, we hope your New Year is off to a wonderful start and becomes filled with everything you wish for it and more!